• Cover the reception area as required and direct visitors to the appropriate person. 2. Undertake administrative support to the management team, any committees, staff or supported people’s meetings as required including coordinating the arrangements, drafting of agendas and taking and distributing of minutes. 3. Prepare a range of documents including creating documents, photocopying, producing complex materials and processing correspondence. 5. Produce as required reports including undertaking analysis of data ensuring that they are processed to a high standard within agreed timescales. 6. Collect and process data and support the updating of databases, coding and logging financial information as required. 9. To liaise with other operational and administrative personnel throughout the organisation keeping them informed, giving out information in a clear legible, objective and professional manner, in a variety of ways, using the appropriate level of confidentiality. 10. Ensure that any equipment used is good working order, ordering any supplies as required and reporting any defects to the appropriate person/company. 11. 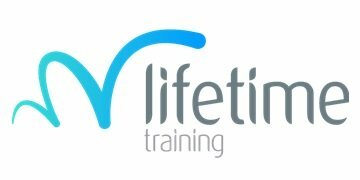 To be responsible for own personal development and ensure that you undertake and attend relevant training, meetings, conferences and events updating and evidencing professional progress in line with your agreed Personal Development Plan. 12. To carry out additional duties and tasks that may be required within the range of the responsibilities of the post.